Luca Chiarvesio isn’t satisfied. At 21, he’s quickly establishing himself as a force in the freestyle world, but he isn’t resting on his laurels and has an unfettered look at his accomplishments, which include: Winning the Superball Challenge; Winning the national championships; Ranking as one of the top freestylers in the world. Enough? Not for him. 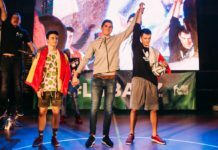 Chiarvesio beat out several A-list freestylers, including Tobias Becs and McPro, to take the Superball Challenge title last year, an event in which contestants must execute increasingly difficult combos. In the main event, he made it to the round of 16, an impressive feat when you consider the competition, but he has made it clear that he has ambitions to make the jump into the upper upper echelon of freestylers this year. Despite its rich soccer history, Italy’s representation in freestyle is few and far between, with Gunther being the only Italian to ever place in a major competition. However, Chiarvesio represents a bright future for la Peninsola, and he will look to create his own lane in the mercurial freestyle landscape. 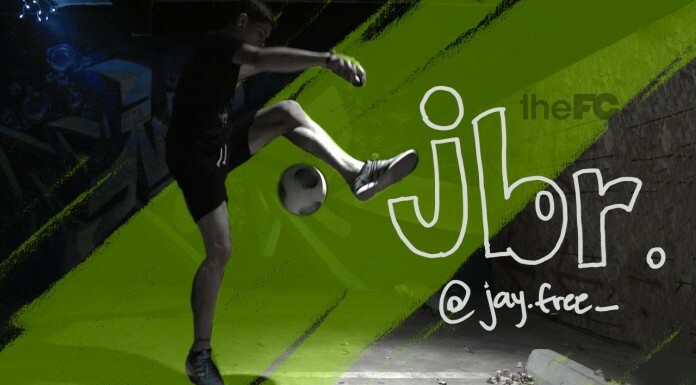 Urban Pitch: How did you get your start in freestyle? 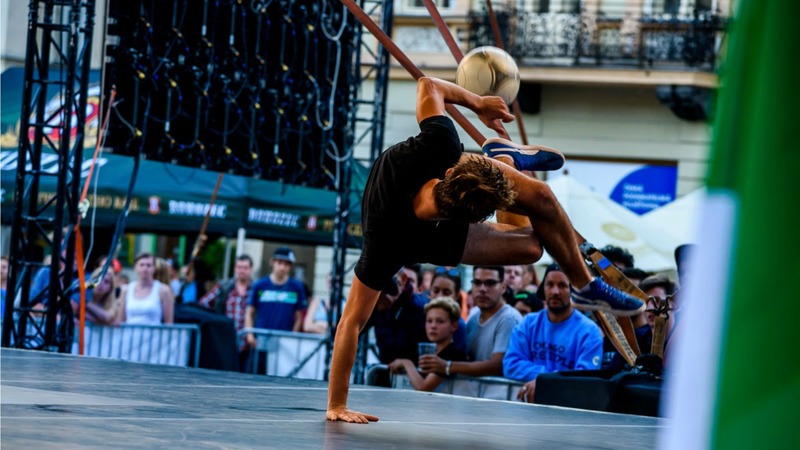 Luca Chiarvesio: When I was younger I used to play football on the local team in my town, and one year I was playing in the age group one year above me, and some of them were able to perform some freestyle tricks, including the ATW. You are a two-time Italian champion. What is next for you? It’s true, I’ve won the national championship twice. 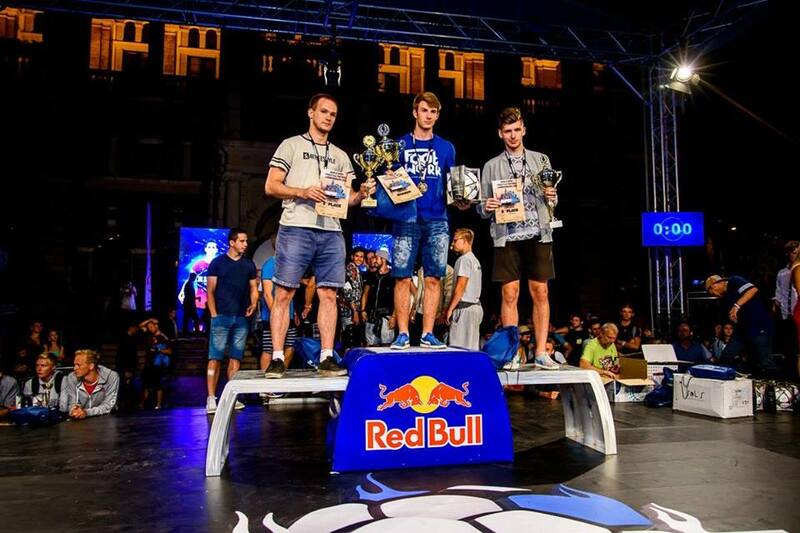 But I have to say, that neither of these competitions were a national Red Bull Street Style Qualifier, therefore it kind of counts less. In both occasions, Gunther was not competing, because he was either judging or organizing the event. So yes, I would love to win an Italian championship with Gunther competing, so I can actually say that I beat him. I’d also like to focus on more international competitions like Superball. I’d like to win the Superball Challenge again this year, and do well in battles, as last year many big names were missing and I made my way to the Top 16. Take us through your training routine. I don’t really have a structure for my trainings. If I need an extra motivation boost, I’ll sometimes watch a couple of videos before practice. I’ll then go to my training spot and start doing some basic tricks. Of course I’ll practice with the music on at all times. Without it, I feel like something’s missing. After the warm up, I stretch a little and move onto harder stuff. Basically I train what comes to my mind, unless I am really obsessed with something, then I HAVE TO DO IT. I’ll usually practice for two hours, sometimes more, and it can be either lowers, all-around, or even both. You’ve been able to perform at some of the biggest stages in freestyle. What have those experiences been like? What started as a hobby has brought me to many different countries that I wouldn’t have visited otherwise. I have also had the opportunity to meet so many new people during my journey, and many of these are an inspiration for me to improve every day and reach my full potential. Speaking of inspiration, who has had the biggest influence on you as a freestyler? When I started, I was watching lower videos all the time. Sure, I was also training basics for upper body and sit-downs, but that was marginal and I didn’t like it as much as lowers. I got a lot of motivation from freestylers like Ethan, Mirko, Skora, Akim, Palle and others—some of which do not freestyle anymore—for example DomyBD. I believe I took few elements from each one of these and became what I am today. What is your favorite moment you’ve had as a freestyler? I’ve actually had many favorite moments. From the first time I landed an ATW, to the first three-rev trick, to the first time I participated in a proper freestyle meeting with hundreds of people, it’s hard to pick. I remember I couldn’t sleep before my first Superball in 2012. I was going to meet the gods. If I have to choose a moment in particular though, it’s the moment Alekseev failed his last attempt in the Superball Challenge last year. (Laughs) All jokes apart, I was finally relieved from all the stress and I was Challenge World Champion. What is the biggest takeaway from your experience in freestyle? Well, before I started freestyling I was a normal guy, and I was not too talented at football. I couldn’t even juggle, so who could have imagined I would have ended up doing this! When I first started, I looked at all of the top freestylers as if they had an unreachable level of talent. But as time passed by, I realized that each day I was becoming closer to reaching that level. Perhaps I did not believe in myself in the beginning, but I worked very hard every single day and eventually I started believing in myself too!